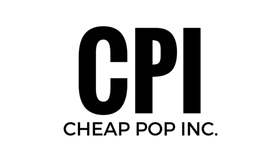 Cheap Pop Podcast Episode 5 - Cheap Pop Inc. - The most unprofessional site on the internet. We are back with our Wrestlemania Preview! We give our Mania predictions, give a brief Raw Recap, The Charlie Haas story, and much more! Also, I want to mention that the quality for some reason was pretty bad on my end in the beginning, but it gets better as the podcast goes on.